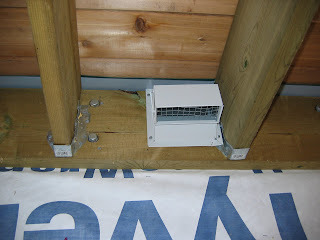 Pick a vent that has a 'flapper' that open when you vent is on but closes when the 'air' is off. To add to the critter protection get a vent with a screen, but a screen of the right gauge to keep out the critters but also let out the unwanted lint that may collect on a fine mesh screen. May sure the vent has either a powder-coated paint or is made of rust resistant material like stainless steel or plastic. I would avoid galvanized and eventually these always seem the rust eventually. The whole idea is to vent your moist air as fast and efficiently as possible. a small opening impedes this.